Sugar Packets (1000 Count). Keep extra sugar on hand with this bulk supply box. Now available in a 1000 count box, you can keep your counter area full and still have some extra. Using sugar packets will help keep the area cleaner and control the amount used. 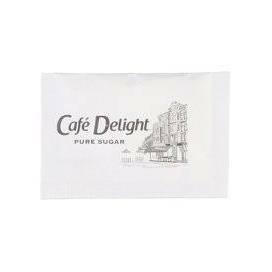 Sugar Packets (1000 Count Bulk Pack). Help control usage and keep your area cleaner.